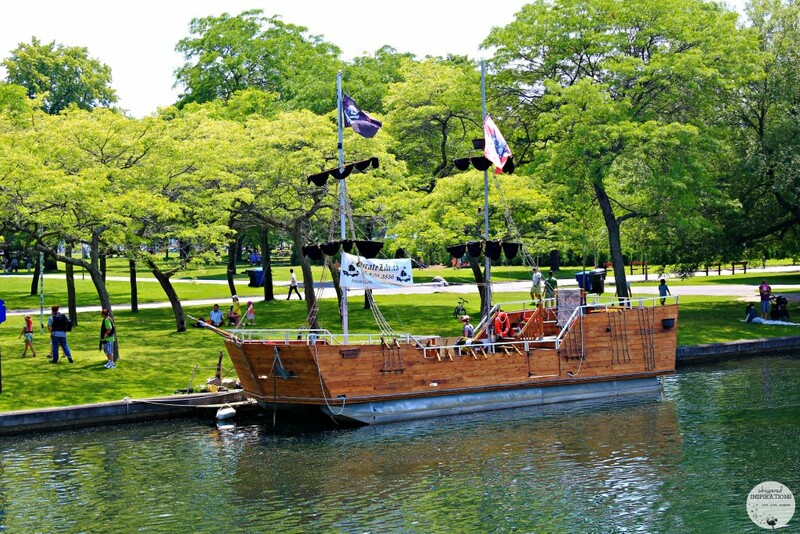 I just couldn’t resist but, in all seriousness, when I heard that Toronto’s Centre Island had a pirate ship docking in its waters. Well, I just had to know more! 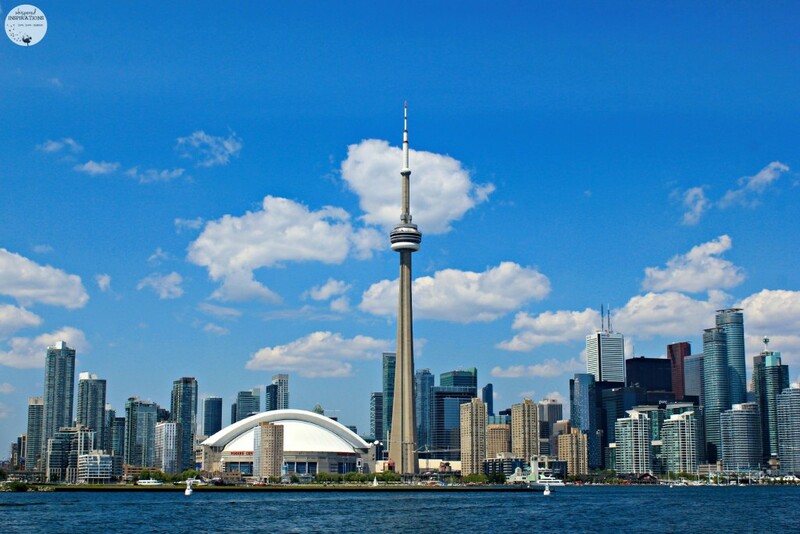 In fact, I had been meaning to make my way to Centre Island for a long time and it was the perfect reason to head there. 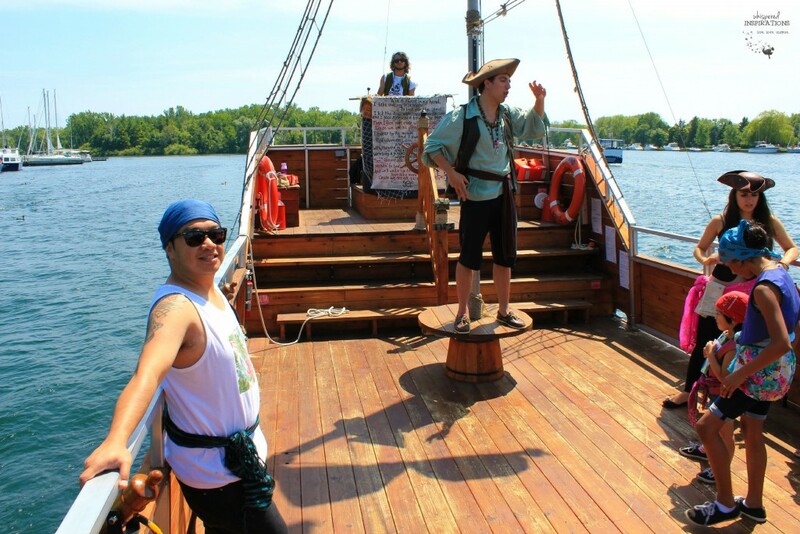 I had a couple of scurvy pirates who were anxious to get on a boat and become part of a pirate crew! 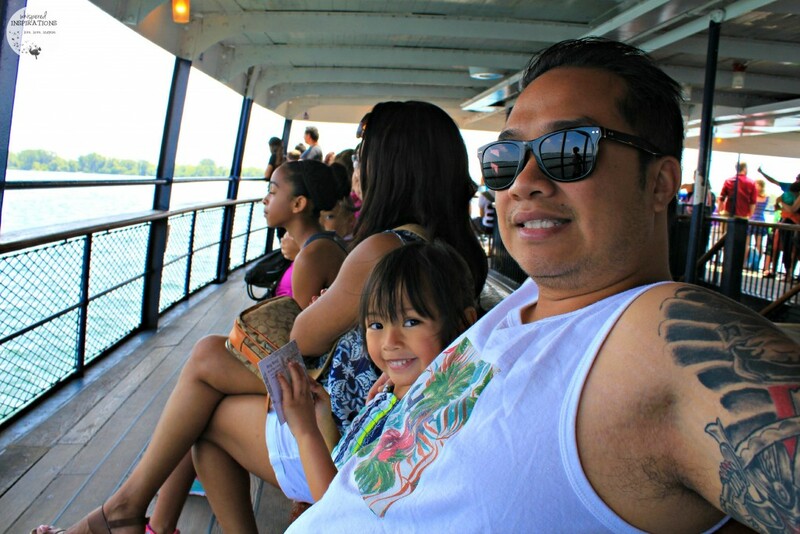 If you aren’t a Toronto native and you’ll be taking the ferry for the first time, that in itself is an adventure for the kids. 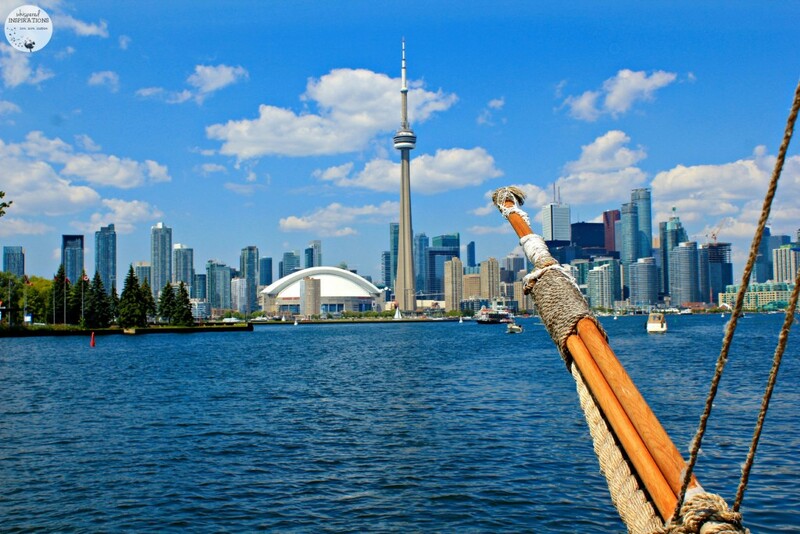 They will love seeing Toronto from the water and even more excited when you dock at Centre Island. We saw some pirates before getting onto the ferry and they gave us a map to follow and all we had to do is go to the X. It is actually a short walk and you just head to your left when you get off the ferry and follow the path, once you hit a white bridge, cross it and you are right there! 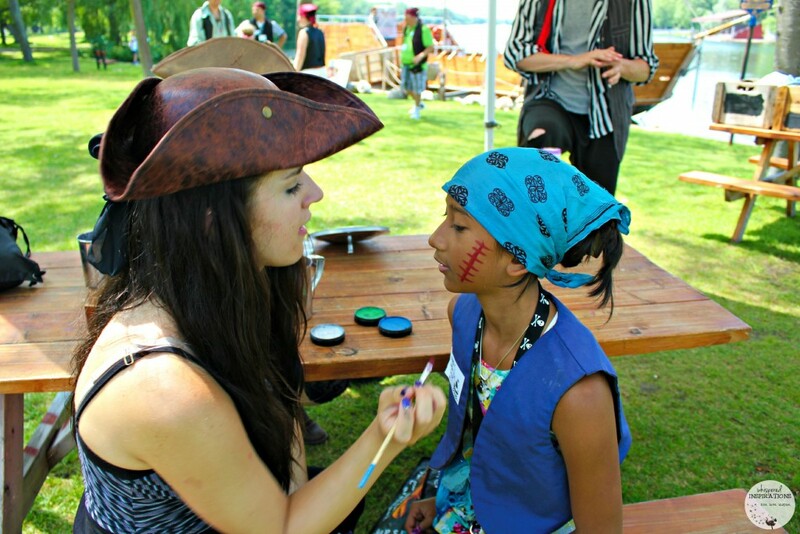 Once you arrive, you are given your pirate name and if you didn’t arrive dressed as a pirate, well, no fear! You can take a look through their collection of vests, sashes, bandanas and more. There is something for everyone, no matter the size. 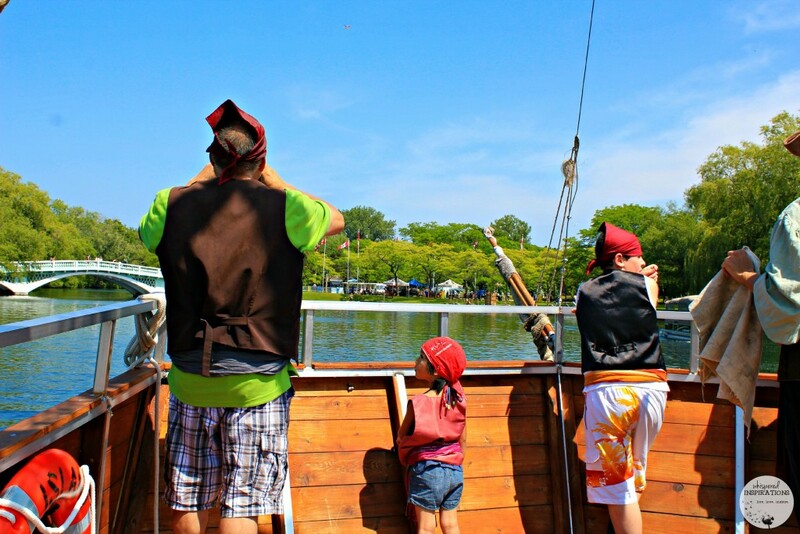 The pirate crew is very friendly and will get the kids excited. They also have brushes ready to paint on scars, crossbones and skulls or whatever strikes your fancy! 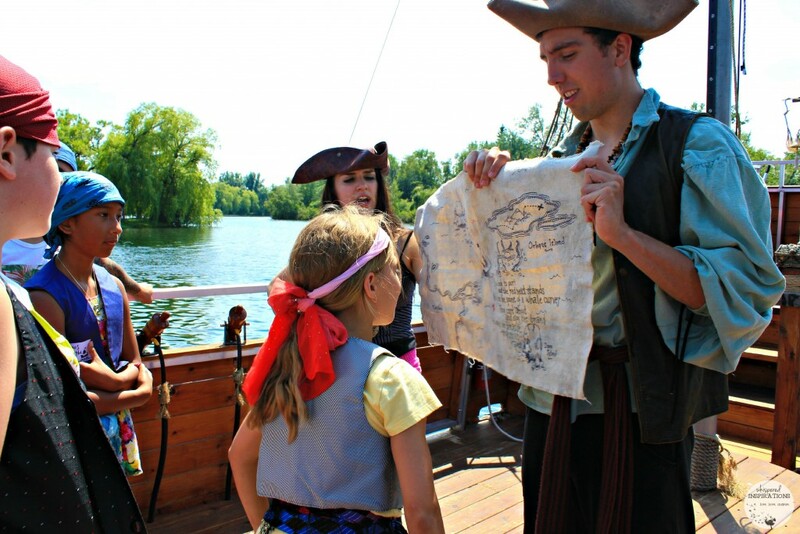 As soon as you step foot onto the pirate ship, a story comes to life! It is interactive and the characters are energetic, humorous and lively. 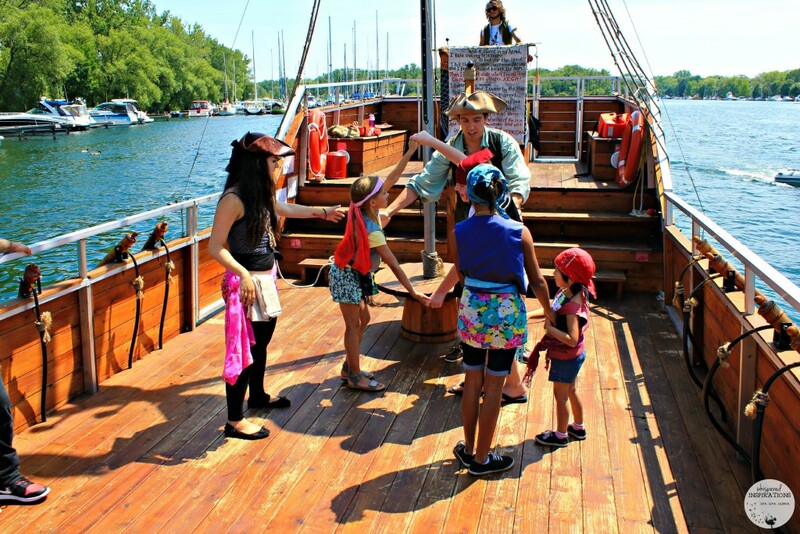 The kids will love the adventure and being on a pirate ship while the older pirates will love seeing the Toronto Islands as they sail the waters towards adventure! Captain invites you aboard the Island Rogue – a 45 foot pirate ship – to head out to sea in pursuit of adventure & perhaps sunken treasure. 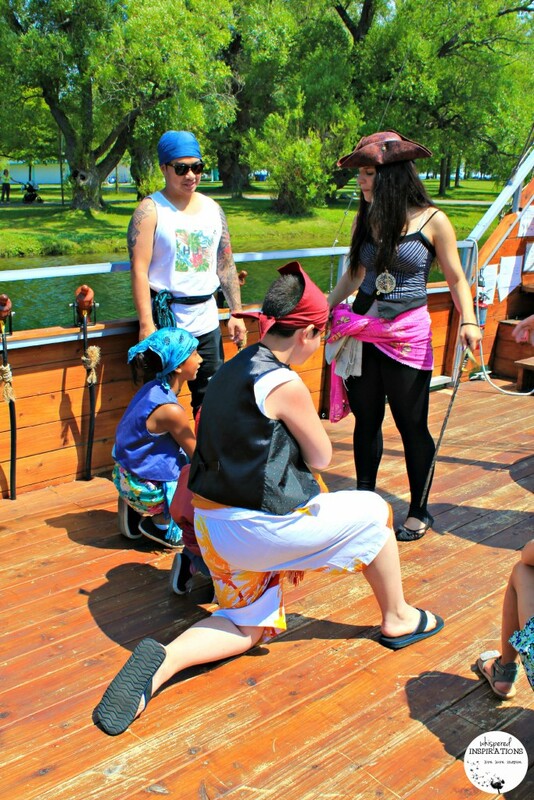 Aboard the vessel and cruising around the islands you partake in Pirate School, where our crew teaches you the ways of the sea faring life. 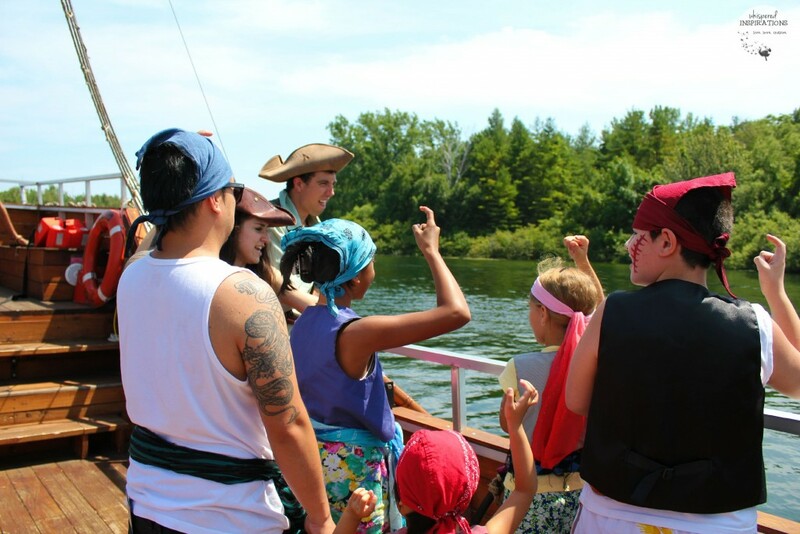 Discover the mystery of Treasure Island, encounter friend & foe, fire the water cannons and haul up the loot if yer one of the lucky ones – or else there may be a marooning for the lot of ye! 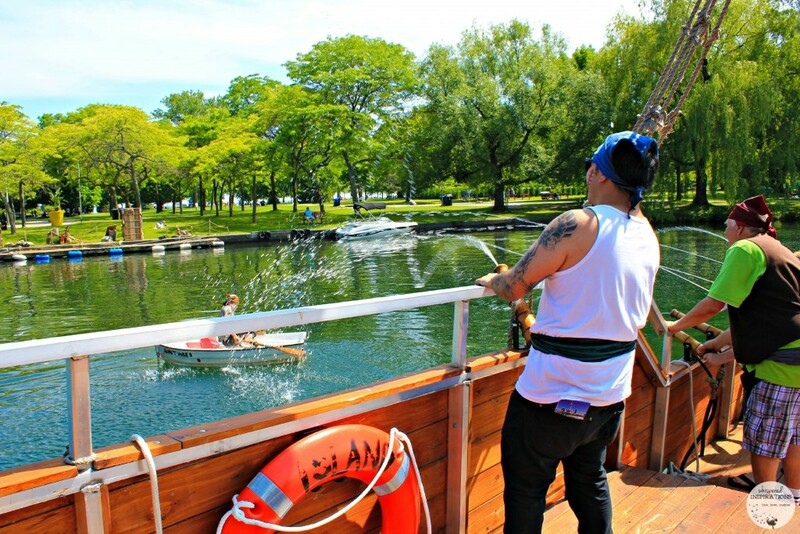 The activity is 1.5 hours, 30 minutes of which are on shore and 1 hour aboard the Island Rogue cruising around the Toronto Islands! 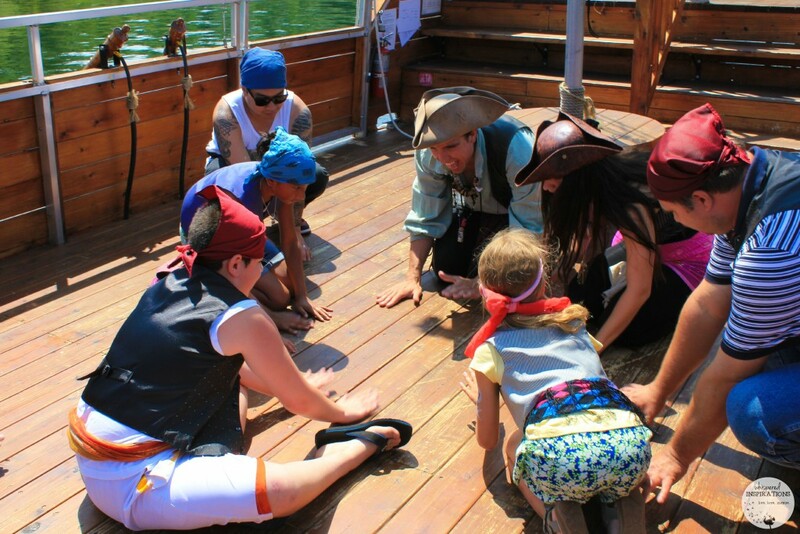 Without spoiling the tale, you will meet both friend and foe on this ship and the kids will have a great time doing so. We sailed towards the Kraken and the things we found in between, well, you’ll just have to visit, won’t you? If you are looking for a Birthday party idea, this would be a great one for your kids. They do parties too! May Weekend departures with special events and school groups during the weekdays – call for info! June Weekends and every day as of June 26th! July-August 7 days a week! September-October Weekend departures with special events and school groups during the weekdays. You will have to take the adventure yourself. I know that my littlest scurvy pirate was stoked to be on a “real pirate ship” and the live show and theatre helped her dream come true. Not to mention, she is always after treasure and this adventure did not leave her short of any but, it was not without a fight! In the end you become a full-fledged pirate, so you can sail the open seas time and time again. One of the parts that the kids (us big kids too) enjoyed the most was being able to be interactive and a part of the story. We were able to use the cannons and fire at an enemy and let me tell you, that was amazing. It was so much fun to feel like a kid again and to have fun with our girls in a way that was full of adventure. 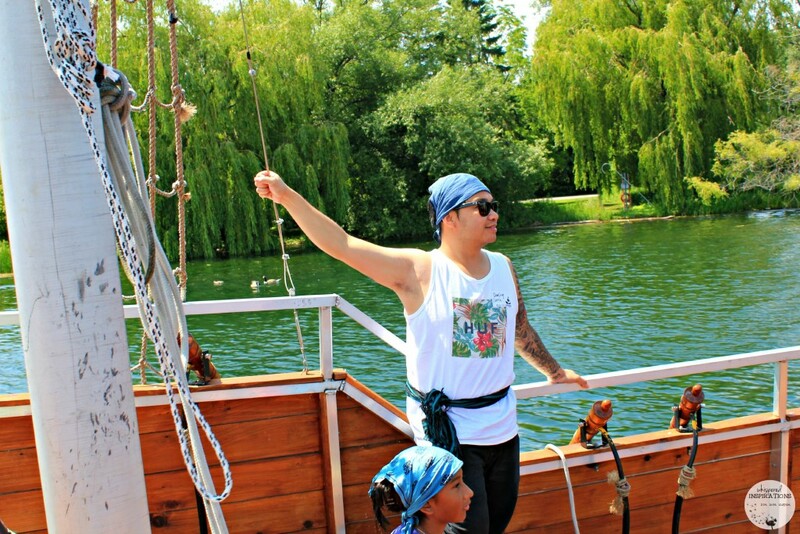 I definitely recommend stopping by the Pirate Life Toronto when you come to Centre Island. 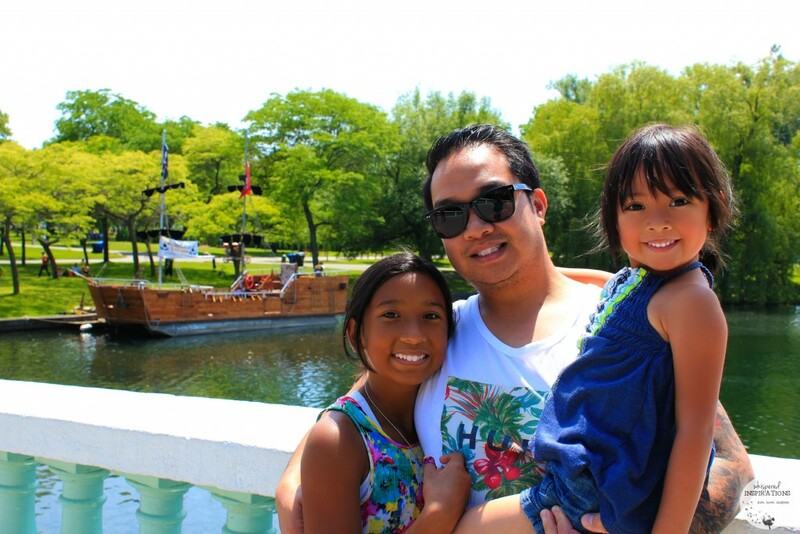 After you take your voyage (1.5 hours) you can have a picnic on the grounds, go to the beach or just enjoy Centreville but, this experience is a must if you do visit! Even if you aren’t into the whole live theatre thing, one thing is for sure is that your kids will enjoy it! 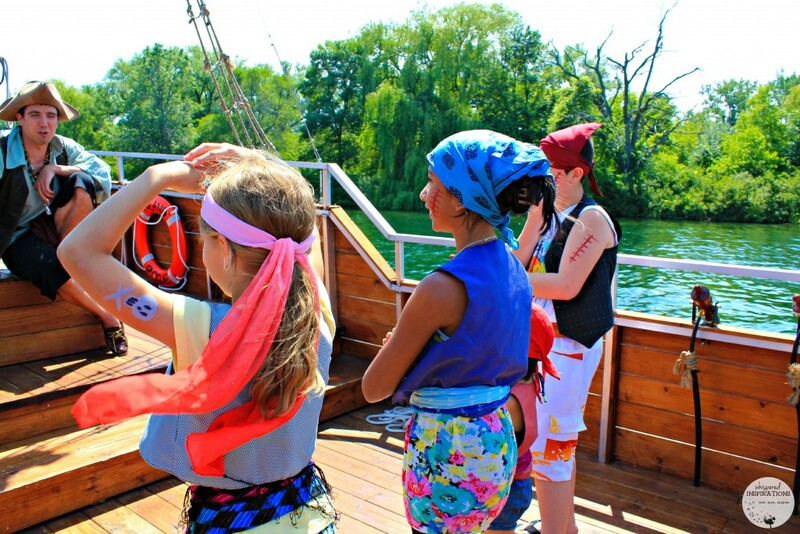 Have you ever sailed on a pirate ship? Never sailed on a pirate ship here but your day sounds awesome. It was a great day, perfect weather for it too. If im in the area when this is in season i will have to check it out,sure sounds like a fun day !